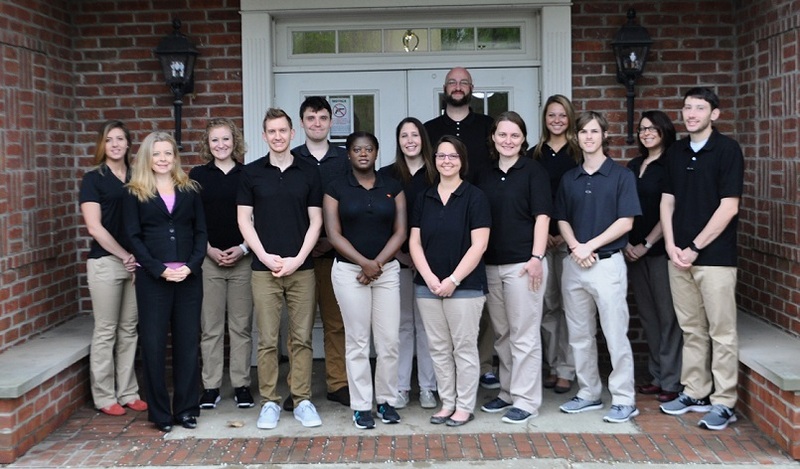 Our team includes more than 65 treatment professionals who are highly trained in utilizing ABA with individuals with autism spectrum disorder. Our supervisory team includes a pediatric neuropsychologist and 13 BCBAs. All of our front line staff have the RBT credential or, if they are newly hired, will have this credential within the first 90 days of joining our team. Our staff have degrees in psychology, education, ABA or a related field. 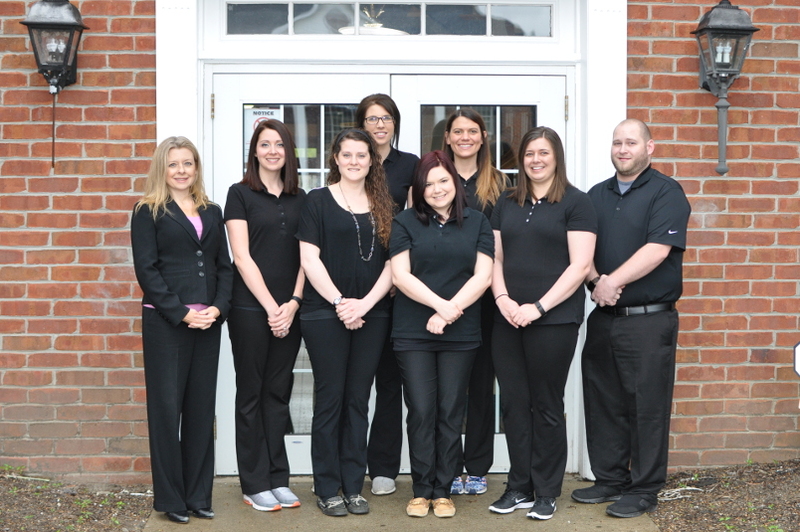 Some of our staff have a license for teaching, intervention specialist, and behavior analysis. Dr. Julie Knapp, Ph.D., BCBA-D, COBA is a Pediatric Neuropsychologist, Board Certified Behavior Analyst-Doctorate and Certified Ohio Behavior Analyst. She is the Executive Director of the Knapp Center for Childhood Development. Dr. Knapp holds a license to practice psychology in Ohio and practice ABA in Ohio, Massachusetts and Virginia. Previously, Dr. Knapp was a Consultant for University Hospitals Rainbow Babies and Children’s Hospital and held an appointment at Case Western Reserve University for six years. Dr. Knapp was also a Staff Psychologist at Cleveland Clinic Center for Autism and she was a faculty member in psychology education forums for Duquesne University and Chatham University. 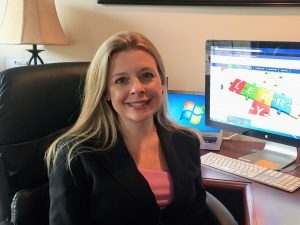 She completed a two-year post-doctoral fellowship in neuropsychology and autism spectrum disorders at The Watson Institute, followed by completing additional training at Pennsylvania State University in behavioral analysis for children with autism. Dr. Knapp was a committee member for two years for National Academy of Neuropsychology. Dr. Knapp currently holds certifications in both the Autism Diagnostic Observation Schedule (ADOS) and the Autism Diagnostic Interview –Revised (ADI-R). Dr. Knapp previously received a grant through Autism Speaks for seed money of her social skills program while on staff at the Cleveland Clinic. Dr. Knapp has published numerous articles or abstracts on autism related topics in professional journals, and has presented research posters at national conferences. She edited a resource guide for autism services in the state of Ohio (funded and published by the Cleveland Clinic). Dr. Knapp participated in multiple interviews or education forums through popular media (both television and magazine articles). Dr. Knapp was the primary investigator on a drug trial for toddlers with autism through the National Institute of Health (NIH) while on staff at Cleveland Clinic. She chaired the 1st and 2nd Mahoning Valley Walk Now for Autism Speaks in 2012 and 2013. Dr. Knapp has been on the Grant Review Committee for Autism Speaks Ohio Chapter for the past four years. She has over 15 years of experience in working with children with developmental disabilities and has presented over 75 workshops or talks on autism-related topics at local, state, and national conferences or meetings. Dr. Knapp co-authored three books and authored a fourth book; all on ABA Curriculum for children with autism and all which are sold internationally. Recently, Dr. Knapp was awarded another grant through Autism Speaks for seed money to initiate an evidenced based reading program for children with autism at the Knapp Center. Carrie Snyder M.S., BCBA, COBA is a Board Certified Behavior Analyst, Certified Ohio Behavior Analyst and Chief Clinical Coordinator of the Knapp Center for Childhood Development. Carrie earned her Master’s of Science degree in Applied Behavior Analysis and has over 10 years of clinical experience working with children with autism and developmental delays. 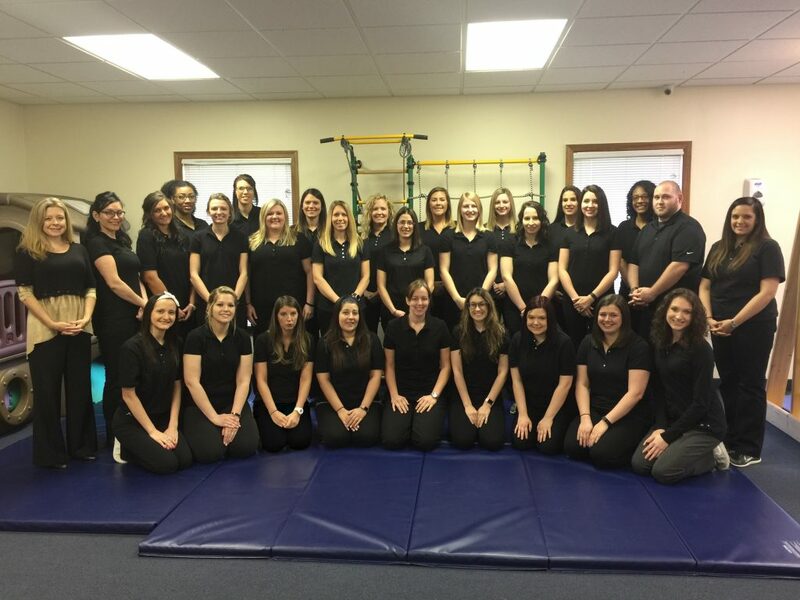 Prior to joining the Knapp Center in 2012, Carrie served as a Behavior Specialist Consultant and Licensed Behavior Specialist in PA, providing Behavior Health Rehabilitation Services to children ages 2-17 in public schools and home-based settings. In her position at the Knapp Center, she coordinates all clinical and staff training programs while also assisting in diagnostic, neuropsychological and psycho-educational evaluations. Mary is a Board Certified Behavior Analyst and the lead coordinator of the Initial Steps Infant and Toddler Program at the Knapp Center for Childhood Development. She obtained her master’s degree in Applied Behavior Analysis from Youngstown State University in 2013. She has worked with children ages 2-20 with varying skill sets and functioning levels to help improve their repertoire of academic, functional skills, and decrease disruptive or problematic behaviors. She has presented research at local and national conferences including Milestones Autism Conference, Ohio Association for Behavior Analysis, and the Association for Behavior Analysis International Annual Conference in 2013 and has published original research in The Analysis of Verbal Behavior. 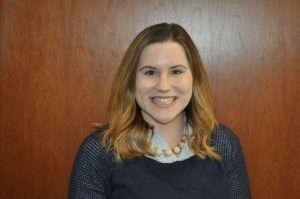 Amy Lockney, M.S., BCBA, COBA is a Board Certified Behavior Analyst, Certified Ohio Behavior Analyst and is one of the Coordinators of the Initial Steps Infant and Toddler program at the Knapp Center for Childhood Development. In her position at the Knapp Center, she is one of the supervisors of the Registered Behavior Technicians and she assists with assessment, treatment planning, and coordination of care of all care providers for patients within the program. Amy received her Master’s Degree from Kaplan University and has taken coursework towards her BCBA from Penn State University and St. Cloud State University. She has over 17 years of clinical experience working with children with autism and developmental delays. Prior to joining the Knapp Center in 2011, Amy worked as a classroom teacher for 7 years and as a classroom behavior therapist for 4 years at the Cleveland Clinic Center for Autism. Her primary clinical interest includes evaluating treatments for autism to identify which are the most effective, efficient, and preferred by individuals with autism. Amy has integrated Applied Behavior Analysis into the treatment of an individual with Cerebral Palsy. Amy has presented at state, regional, national, and international conferences. At the National Applied Behavior Analysis Convention, Amy has presented on function based treatments for children with moderate to profound autism who demonstrated attention seeking behavior, aggression, off-task behavior, self-injurious behavior, and elopement. Cecelia is currently a Behavior Analyst and Certified Ohio Behavior Analyst. She has been with the Knapp Center since August 2011. Previously, she worked in the Outreach Program and was the Coordinator of the Therapeutic Summer Camps. Currently, Cecelia is one of the Coordinators for the Knapp Center Initial Steps Day Treatment Program. Cecelia has worked with children and adolescents with autism and other developmental disabilities for over 5 years, in the home, school and office settings. 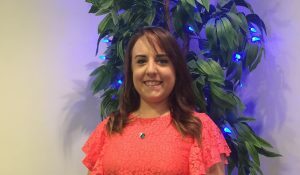 Cecelia enjoys working with learners of all ages, with a particular interest in working with very young children newly diagnosed. Some of her interests within the field include treating problematic behavior and natural environment teaching. Kris is a Board Certified Behavior Analyst and Certified Behavior Analyst who is the Coordinator of the STEPS Program at The Knapp Center for Childhood Development. Kris has been with the Knapp Center since 2012 as a behavior technician and ABA Consultant. His experience includes working with students aging from 3-22 years with developmental disabilities, with a special interest in working with adolescents and young adults. Kris was also an adjunct instructor of psychology at Youngstown State University for 2 years. 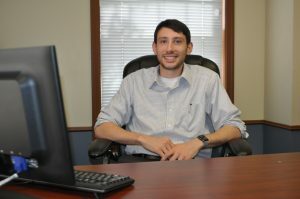 Some of Kris’ interests within the field of applied behavior analysis are the analysis and treatment of complex problem behavior, stimulus equivalence, and behavior-analytic psychotherapy techniques. Denise is a Board Certified Behavior Analyst who has worked with individuals with autism and related disabilities for over 13 years. Denise has been with the Knapp Center since January 2015. 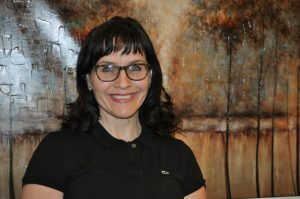 She is also a Licensed Professional Counselor with years of clinical experience providing counseling to children, adolescents, adults and families and has experience using Cognitive Behavioral Therapy to treat mental health diagnoses. Her experience working from both a behavioral and psychological framework allows her a unique perspective when working with families of individuals on the Autism Spectrum. Denise enjoys working with children in the school, home, and community to see the child’s growth across all environments. She conducts functional behavior assessments, writes and implements behavior support plans, supervises in-home and school ABA programs, and provides parent training. 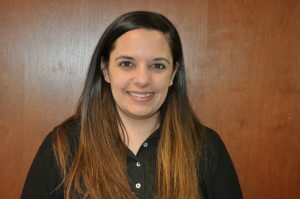 Christa Homlitas, MS, BCBA, COBA is a Board Certified Behavior Analyst and the Program Coordinator for the Remote Supervision and Training Program at the Knapp Center for Childhood Development. Christa has been an ABA Consultant at the Knapp Center since April 2011. She received her Masters of Science in Applied Behavior Analysis from Youngstown State University. Previous research includes investigating the effects behavioral skills training on the implementation and generalization of the picture exchange communication system (PECS), the effects of response blocking and differential reinforcement of alternative behavior on the reduction of immediate echolalia and behavior skills training on the implementation of preference assessments training. In addition to research, Christa has completed professional presentations at the Association for Behavior Analysis Annual Convention, Annual Meeting of Virginia Association for Behavior Analysis, Milestone’s Annual Autism/Asperger’s Conference as well as providing training seminars to local schools. Currently, Christa coordinates the Remote Program which services via remote supervision and training to those families that live in rural areas, internationally or areas that otherwise do not have behavior analytic services available. 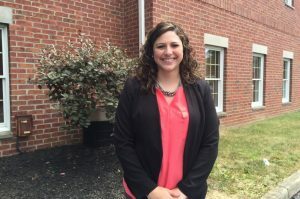 Anna Swisher, MS, BCBA, COBA is a Board Certified Behavior Analyst and the Program Coordinator for the Therapeutic Summer Camp Program at the Knapp Center for Childhood Development. Anna is a Board Certified Behavior Analyst, a Certified Ohio Behavior Analyst, and she is Licensed to provide ABA in Pennsylvania and Massachusetts as well. Anna has been with the Knapp Center since 2015 and she is the Coordinator of the Therapeutic Summer Camp Program. Anna holds a Master’s of Science Degree in Applied Behavior Analysis and Developmental Disabilities from Auburn University. 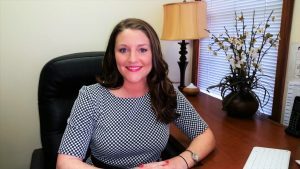 Anna received her undergraduate degree from West Virginia University in Psychology with an emphasis on behavior analysis. 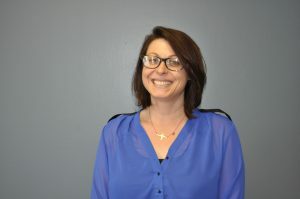 She began working with children with autism in 2011 during her senior capstone placement in an intensive autism service delivery clinic and has since worked with children, adolescents, and adults with autism and other developmental disabilities in clinical, school, residential, and in-home settings, as well as parent training programs. Anna enjoys working with learners of all ages with a special interest in social skills training. Some of her interests within the field include parent training and disseminating information about ABA to other disciplines.